Aside from abuse, children generally benefit from a relationship with both mom and dad. Even if there are negative aspects of a parent, children benefit from interacting with one who “brought them into this world,” and can learn crucial coping skills and expand personal styles of problem-solving. Children usually benefit from all the resources of both homes. Also, as both parents and child age the opportunity for a more comfortable relationship develops. Research indicates that not only do children benefit from a relationship with both parents, but in retrospect, children wish they had more time with the non-custodial parent and that children can still feel rejected by estranged and alienated parents. In retrospect, adult children report that they wish someone helped them with their relationship with the “other” parent. Parents especially in divorce can become estranged or alienated. 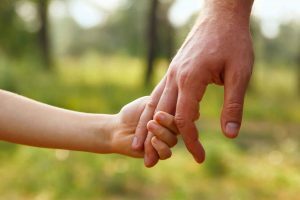 Estranged parents generally involves the deterioration of the parent’s relationship with the child due to parental factors and child behavior. The child and parent both experience the disconnection. For children of alienated parents, the emphasis is more on what the child has been told about their experience with the other parent, which may include exaggerations and negative allegations. Even if the allegations are true about the other parent, it is difficult if not impossible to accurately measure the exact impact on the child. The child may be attracted to power, and the child may either be more aligned with the more powerful parent, or the child may find power in protecting the “victimized” parent. Some signs of alienation can be found in the post How One Parent Undermines the Other Parent and Visitation Refusal. Reunification therapy is difficult because it requires not only the usual willingness to make personal changes but also the elusive ability to utilize (versus attack) someone else’s point of view. The earlier the intervention the better. The goal is to help kids past anxiety and avoidance to mastery and confidence. Therapeutic goals are based on each situation, but always involve the parent and child seeing the impact of their own behavior on the other, expressing remorse, the ability to refocus on a future relationship, and effective restriction on the other parent’s interference. Interventions include identifying thinking errors, improving communication, resolving attachment issues, and building self-esteem. Therapists should be active, directive and able to confront maladaptive interactions. Success is determined by the parents making agreements that stick.